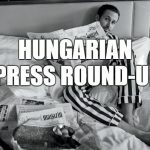 A pro-government commentator accuses the CEU of not meeting the Hungarian regulations that would allow it to issue US accredited degrees in Budapest. Left-wing and liberal columnists, on the other hand, think that the government is persecuting the university founded by George Soros for political reasons. Background information: In an interview with 168 Óra, Minister of Innovation and Technology László Palkovics claimed that the CEU will not move to Vienna. Minister Palkovics expressed the view that while the CEU, as a US accredited entity will formally be registered in Vienna, students will continue to study in Budapest as students of the Közép-európai Egyetem, the Hungarian accredited institution that can continue its operation in the Hungarian capital. The university argues that there is only one university, and that the government’s attempts to split it in two are a nonsense. Magyar Idők’s Bence Apáti claims that the CEU does not meet the requirements set out in last year’s amendment to the Higher Education Act, also called ‘lex CEU’. The pro-government columnist recalls that according to the regulations enacted in 2017, foreign universities can operate in Hungary only if they have educational programs in their countries of origin. Apáti acknowledges that the State of New York has issued a confirmation of the CEU’s operation in upstate New York. He doubts however that there is actual teaching taking place in the CEU’s one tiny building on the campus of Bard College. Apáti concludes by calling on the CEU to abide by the Hungarian regulations. In its editorial, Magyar Narancs contends that the CEU has fulfilled all the requirements by opening a campus in New York state. The liberal weekly recalls that representatives of the Hungarian side have agreed on the draft of a bilateral agreement that would secure the CEU’s operation in Budapest, but the government has not signed the deal brokered last year. 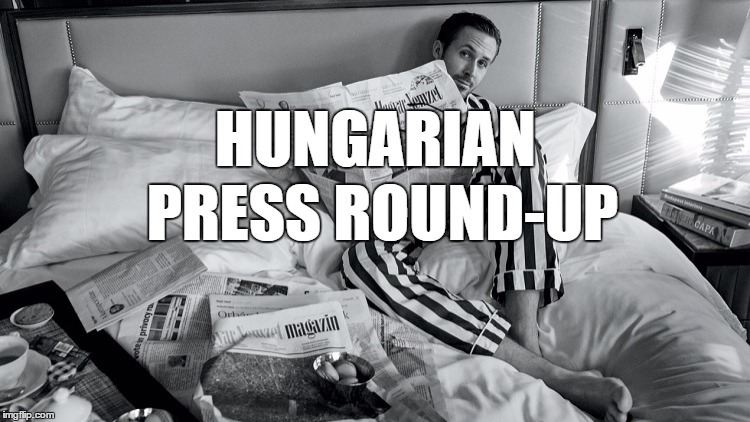 Magyar Narancs accuses the Orbán government of chasing the prestigious university out of Hungary. The liberal weekly believes that the government’s hostility is motivated by its anti-immigration campaign and speculates that getting rid of the CEU may also be a favour to Russian President Putin. Magyar Narancs concludes that the CEU’s move will be a gift for Vienna, and a loss for Budapest. 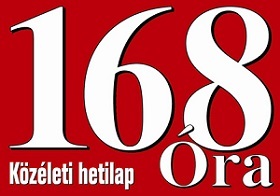 In 168 Óra, Zoltán Lakner accuses the government of waging war against civil society and puts what he calls the attack on the university in that framework. The left-wing analyst thinks that after its departure, NGOs independent from the government will have less resources to continue operation. Lakner adds that the war on the CEU is in line with the government’s culture war and its plan to improve the quality and competitiveness of state-owned Hungarian universities. Lakner defines what is happening as an authoritarian attack on the CEU and at the same time, as a wake-up call for the opposition, suggesting that if even the CEU can be forced to pack its bags, the government may come up with even more restrictive authoritarian measures in future against what remains of the opposition.